Thanks Joe for the tutorial you posted on Facebook about making the live view take up the full screen. I did this on a few of my booths, I did not hide though there is a small area the live view doesn’t cover. 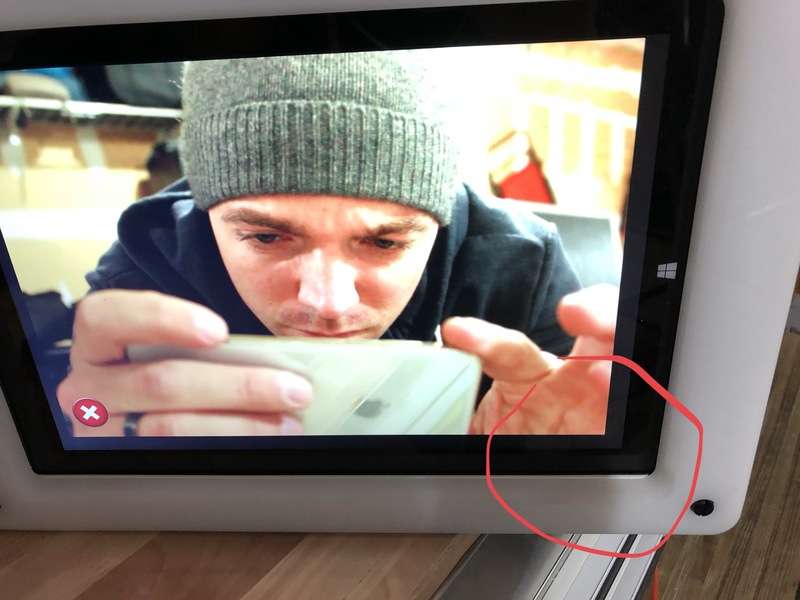 You can see in the attached photo the difference from the bezel of the pc and the black screen, about half an inch worth of black screen where the live view can be increased. I was wondering if there was a way to extend this all the way to make it truly live view. Also, when I set the theme to “none” and use a start screen with a slideshow, the background of the slideshow is black, it used to be red curtain. Is there any way to do red curtain just for the slideshow background? Or assign a different background just for the slideshow start screen. I am aware I can set a custom start screen image, but this would disable the slideshow. is needed/required for the normal photo shown full screen. That would cause your screen to have boarders. more knowledge/information to help you. I understand about the aspect ratio. But as you see in the photo there is room on both the bottom and side for it to be expanded. Yes... I saw that but have no idea why your screen is not filling either the width or the height as it should for any image set to be showing without a Theme set... John will need to review and reply. Are you sure that is not the border of the monitor? Wait. Is that the slideshow? It is not the bezel of the monitor. You can see where the bezel starts if you look close. No it is not the slideshow John, it’s a picture of the live view. The slide show was a side note. Not pictured. Also if you look at the top you can see the view extends all the way to top of screen. What is the resolution of the monitor (width and height in pixels)? Weird I just started up a different booth to check that for you, and on this one there is no gap, it’s taking up the whole screen? Maybe it was just a little glitch? The screen resolution is 2160x1440. Let me check my other booth, reset sparkbooth and see if the problem went away. Ok false alarm :). Must have been a little bug. I restarted the original computer and now it fits the screen perfect. But for the slideshow. Can we make it so in the start screen slide show settings box in the bottom right corner there’s an option to set a background or upload own own background? Cause right now with theme set to “none” the slideshow background is just black. Yup... gotta love technology right. If it happens again, try toggling fullscreen to force it to resize.